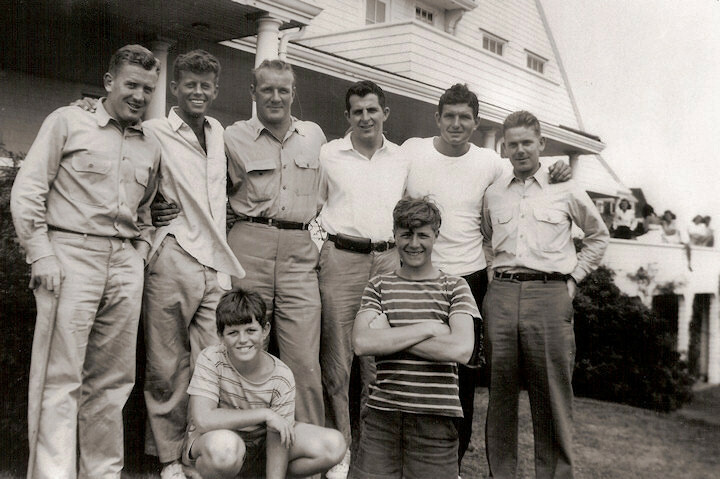 JFK was in Hyannis Port with his family and friends, including the brotherhood of friends he made met and made in the United States Navy. L to R, Red Fay, JFK, Lennie Thom, Jim Reed, Barney Ross, Bernie Lyon. In front are Ted Kennedy and cousin Ed Gargan.